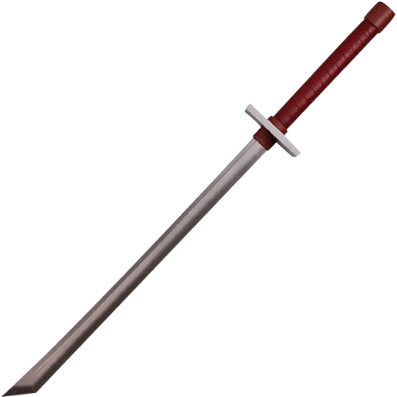 Displaying a chisel point, square guard, and a straight blade, the Japanese Ninja LARP Sword is a longer version of the ninjato, a short sword said to have been the preferred weapon of the secretive and covert Shinobi of feudal Japan. Crafted from dense latex foam with a unique fiberglass fusion core, this Asian LARP sword is lightweight and extremely flexible. The durable latex construction with painted details provides a realistic look for any cosplay or theatrical production. The generous two handed grip displays a reddish brown corded detail, resembling wrapped leather. The metallic silver blade features a long fuller. 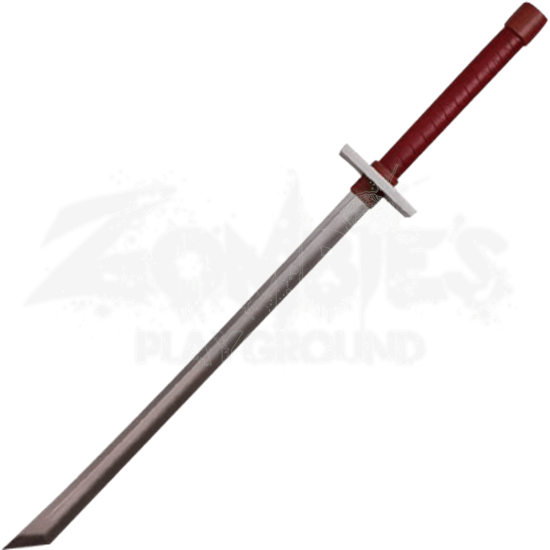 An elegant weapon for a deadly mercenary, the Japanese Ninja LARP Sword is suitable for light sparring.